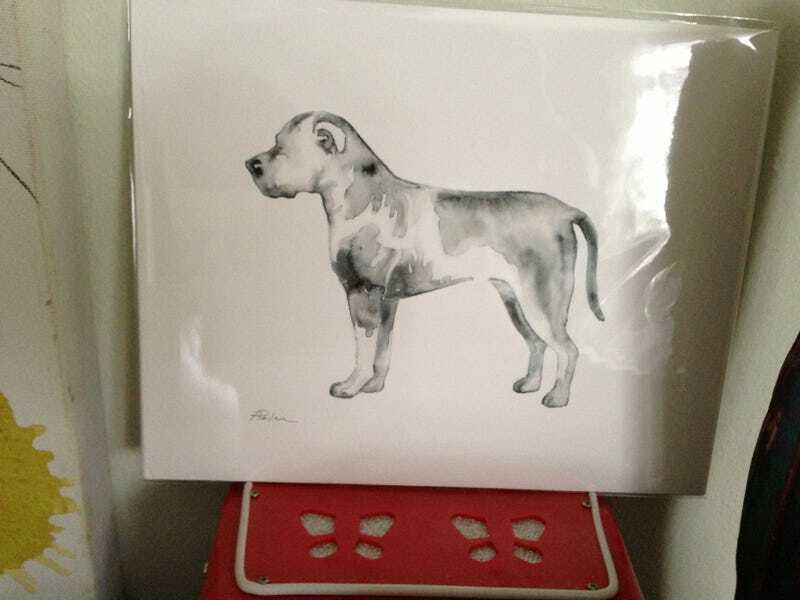 A few weeks ago, Hedgehog posted that she was selling watercolor dog prints on Fab.com. As two of my favorite things are dogs and watercolors, I immediately ordered one. It showed up this week, and it's beautiful. I can't wait to get it framed. Among the many reasons to love Groupthink: our numbers include talented purveyors of art. Thanks, Hedgehog! Edited to add: It looks like the Fab sale is over, but she linked her Etsy store in the comments of the original post.